The owners of the Driftwood are paying for the artistic explosives in Sea Bright, said Karen Irvine, a beach club spokeswoman. They are also hosting a party and concert benefiting Sea Bright Rising. Tickets are priced between $75 (show only) and $335 (including dinner). Irvine said that the Driftwood has been coordinating with local and state authorities to deal with logistics. Here’s a list of fireworks events scheduled throughout the state. Disaster case managers will work with storm victims to determine the discrepancy between how much they need to recover from the storm and how much they have received from other resources. Individuals in Monmouth or Ocean counties who do not have disaster case managers should contact Catholic Charities’ Disaster Response Program at (877)-510-6762. Case managers will try to fulfill each storm victims needs through available resources. Once it’s determined how much unmet need an individual has, that case will be presented to the long-term recovery committees, said Robert Hodnett, chairman of Monmouth County Long Term Recovery Committee. 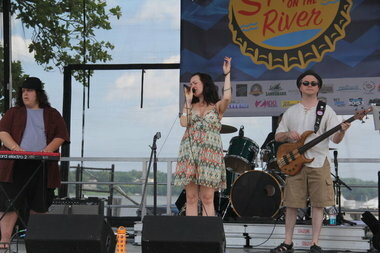 RED BANK — Between heat, humidity and rain, the borough’s first “Sippin’ on the River” event drew less of a crowd than anticipated. Each day 12,000 to 15,000 people were expected to head to Marine Park for the festival, but in total only about 5,000 were estimated to have showed up during the two-day event, co-organizer Tom Cappello said.Cappello, who owners Gaetano’s restaurant, called the turnout “fair” and said he believed not enough promotion and the weather forecast impacted the low numbers. Want to find out if your favorite beach is staffed with lifeguards this summer or are you trying to find a new beach to go to? Don’t miss our 2013 Shore Guide: Beach Information. 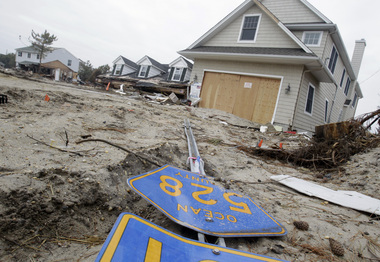 From Sandy Hook to Cape May, find out how much a beach badge costs? Is there parking? What about food? Showers? Changing areas? It’s all here.